Improving on the previous design of the Pioneer A-Series speakers, the new 2011 Pioneer TS-A6874R prove to be a big step forward for the already award winning speakers. The most notable improvement on these new speakers is the enhanced power handling of the speakers. With an RMS power handling of 40 watts. 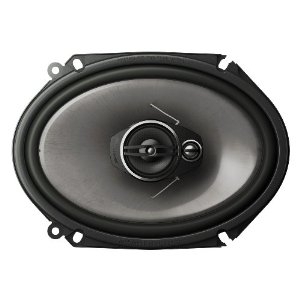 The Pioneer TS-A6874R becomes a great solution for a factory replacement speaker. However, Pioneer increased the Max power handling to 350 watts, which is great for those that want to power these speakers with an aftermarket amplifier. Using Carbon graphite IMPP interlaced aramid fiber cone and an elastic polymer surround, the diaphragm response is smooth and results in natural, crisp sound. 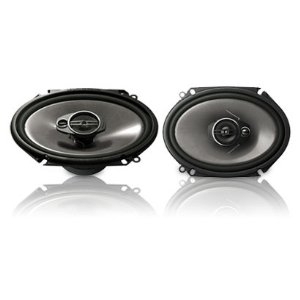 For those that want the latest in car audio loudspeaker technology, Pioneer is an excellent choice and a leader in the mobile loudspeaker industry. Improve your ride for 2011 with the Pioneer TS-A6874R.